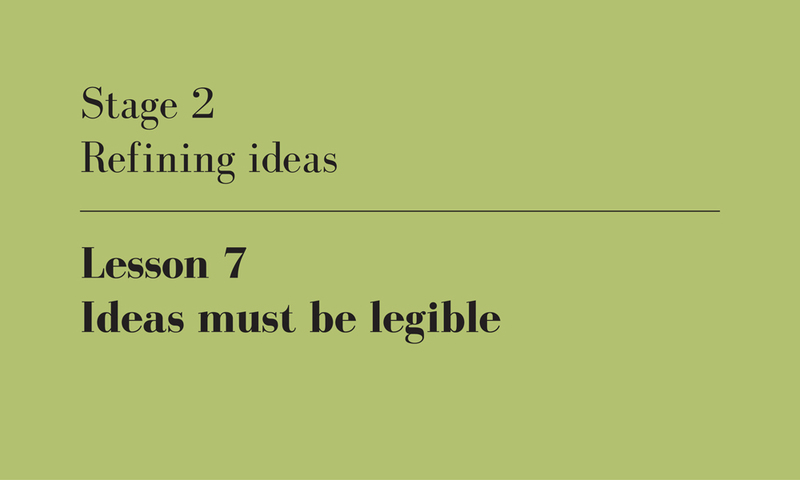 This is the 7th of twenty-one lessons for design students, gathered from the combined experience of being a student, and teaching students. I will published one lesson each weekday until they’re done. This is a philosophical thought experiment with, of course, two possible answers. It explores the nature of sentience, and asks whether the act of observation confers meaning. Sure, the falling tree sends concussion ripples through the air, this is a scientific fact. But the crux of the debate is whether those ripples need to be received by an intelligent ear that can understand a tree has just fallen. When it comes to architecture however, I believe there is no debate: without the observer, the tree makes no sound. Or to drop the analogy, without legibility in your building, your ideas don’t exist. I’m not suggesting here that your ideas be limited to the lowest common denominator, to appeal only to the masses. Indeed, a richness of ideas comes about when they operate at lots of different levels – appealing to curious children, uninformed adults and highly educated enthusiasts alike. What I really mean is that your building is the embodiment of your ideas, it’s the way they are expressed. Architects do not craft ideas with words, we do so with light, massing and material. Describing your ideas with words is a fraction of the battle, they need to be understood in the flesh (or at the very least via pictures). So, unless you plan on explaining to every passer-by how your design came to be, you need to let it speak on its own. Your architecture may have begun with ideas, but once designed, the rest of the world starts at the architecture and moves backwards. If the ideas that generated your design can’t be seen, then they are mere words on a page somewhere. You need to relinquish control, let the observer come to her own conclusions about your work. And to do this successfully, your ideas need to be legible. Ideas must be legible, author’s own image.